The consortium is led by Professor William Powrie, a globally recognised thought leader and research programme director in the engineering of rail infrastructure systems. He has gathered around him the leaders in the UK academic community in rail related research and other related and relevant disciplines. William Powrie FREng (Principal Investigator) is Dean of Engineering and the Environment and Professor of Geotechnical Engineering at the University of Southampton. He has been PI on 5 major EPSRC consortium grants of total value >£16M including Railway Track for the 21st Century (EP/H044949) and Rail Research UK (EP/D080207). RRUK was instrumental in growing UK university-based rail research to its strong position today, coordinated by RSSB through the RRUK Association (http://rruka.org.uk/). As a member of the DfT Rail Technical Strategy Steering Group from 2010-12, he helped develop the Rail Technical Strategy 2012. He leads the Centre of Excellence in Infrastructure within the UK Rail Research and Innovation Network and is deputy Convenor of the UK Collaboratorium for Research in Infrastructure and Cities. David Thompson is Professor of Railway Noise and Vibration at the Institute of Sound and Vibration Research, University of Southampton and is Head of the Dynamics Group. He is a PI on MOTIV – Modelling Of Train Induced Vibration, a joint grant with the University of Cambridge. He has been a partner in many EU projects, most recently RIVAS (Railway Induced Vibration Abatement Solutions) and Acoutrain (Virtual certification of acoustic performance for freight and passenger trains). 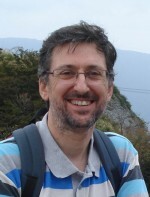 Antonis Zervos is Associate Professor in Geomechanics and Deputy Head of the Infrastructure Research Group at the University of Southampton. He has expertise in computational geomechanics, especially numerical modelling using finite, discrete and boundary elements. He is a board member of the invitation-only European geomechanics network ALERT, and leads on railway geomechanics within that group. John Preston is Professor of Rail Transport and Head of the Transportation Research Group at the University of Southampton. He leads jointly with Simon Blainey on the development of integrating models for the prediction of track deterioration and maintenance planning, across all research challenges. John has held over 130 research grants and contracts worth almost £10M, was a co-author of the RRUKA Academic Response to the Rail Technical Strategy (2013), co-chairs the WCTRS Rail Special Interest Group and is a committee member of the IAROR. He has advised industry and governments throughout Europe including the Passenger Demand Forecasting Council, the House of Commons Transport Select Committee, the National Audit Office and the International Transport Forum. Yann Bezin is Head of Research at the Institute of Railway Research at Huddersfield, and an expert in vehicle-track interaction modelling. Yann manages over £0.7M in EU funded projects in innovative freight, track systems and novel S&C, and is on the RRUKA Executive Committee. He supports Simon Iwnicki leading Research Challenge 3: Designer crossings and transitions. 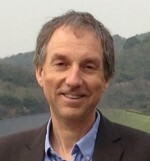 Simon Iwnicki is Professor of Railway Engineering at the University of Huddersfield. He brings expertise to the consortium in the area of rail vehicle dynamics, which has taken on an increased importance because of the stronger emphasis on complex ground/track/vehicle interactions. His grant funding exceeds £4M. Simon is a former Chair of the IMechE Railway Division, a former academic co-chair of RRUKA, Editor-in-Chief of Rail and Rapid Transit, and co-editor of Vehicle System Dynamics. He leads Research Challenge 2: Designer crossings and transitions, developing an improved understanding of the wide-ranging dynamic track/train interactions at switches and crossings (S&C) and transitions of variable and complex geometry. He leads the Centre of Excellence in Rolling Stock within the UK Rail Research and Innovation Network. Clive Roberts is Professor of Railway Systems at the University of Birmingham and Director of the Birmingham Centre for Railway Research and Education. Since 2011 he has been awarded c£30M of EPSRC and HEFCE funding and €9M from the EU, matched by >£65M in cash and kind from UK and international industry. He co-chairs the IEEE Technical Committee on Railroad Systems and Applications. He leads the new UK Rail Research and Innovation Network and, within that, the Centre of Excellence in Digital Systems. 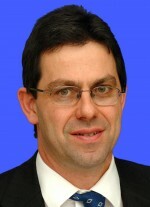 Glenn McDowell is Head of the Department of Civil Engineering at the University of Nottingham. He brings expertise in the constitutive behaviour of crushable soils and granular materials, in particular in discrete element modelling of railway ballast. Research income totals >£3M including Discrete element modelling of critical state soil mechanics (EP/L019779). 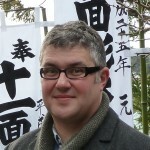 Simon Blainey is a Lecturer in Transportation at the University of Southampton, with extensive experience of research in the rail context. 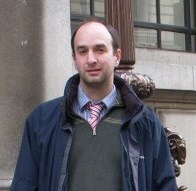 As well as leading jointly with John Preston on the development of integrating models, he is a Co-Investigator on the EPSRC-funded ‘Infrastructure Transitions Research Consortium’, developing long term strategic models for the UK transport system (including rail) and assessing the risk of disruption to the rail network. His expertise includes rail demand forecasting, integrated appraisal processes for new local railway stations and assessing barriers to mode shift to rail. Louis Le Pen is a Senior Research Fellow at the University of Southampton specialising in Geotechnical Engineering. He has primarily worked on the EPSRC funded projects Track 21 and T2F, and leads on aspects of field work and laboratory experiments. Louis coordinates with other specialisms within the T2F consortium to facilitate a holistic understanding of track performance (where track performance is evaluated under multiple criteria). He has won funding for specific projects within Network Rail and University of Southampton’s infrastructure strategic framework agreement, for example measuring the performance of under sleeper pads. © 2019 Track to the Future.